Through my travels within pages of guidebooks and Pinterest, I mentally bookmarked places I want to go when the time is right. Thailand has been on my list for years, and after catching glimpses of the countless extravagant hotels and resorts, I figured now is the perfect time to feature one of the many places worth staying (and because the best time to travel to Thailand is now, due to the drier and cooler weather). I’ve settled on Four Seasons Thailand, which boasts three separate hotels and resorts sprawled among the nation, from the city of Bangkok to the northern mountains of Chang Mai down to the hillsides kneeling over the Gulf of Siam, but I’m focusing on the fourth kind: a tented camp that emanates such poise and precision to be included in the Four Seasons arsenal. 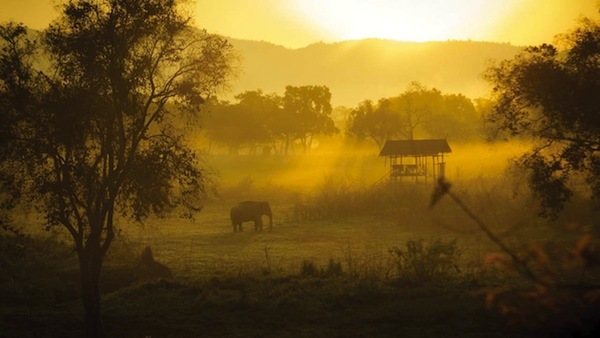 Situated in Northern Thailand, just south of Burma and west of Laos, Four Seasons Tented Camp Golden Triangle offers and unforgettable stay for active teens and adults with opportunities to combine the escape only Four Seasons can offer while mixing it up a bit by eliminating the “hotel and resort” aspect and adding elephants—yes, elephants—to the mix. 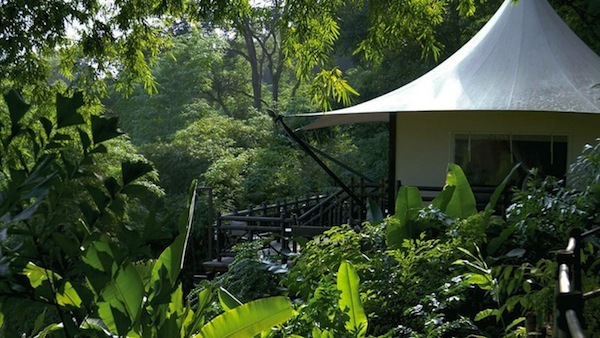 Only reachable by river boat, Golden Triangle is a real-life Swiss Family Robinson destination. The 15 guest rooms, or tents rather, are stitched over 581 sq.-ft. and include leather-and-hardwood bush chairs, paddle fans, hammered copper bathtubs and hand showers, and a spacious deck. Additional amenities include air conditioning, heating, and complimentary minibar among others (depending on the tent). 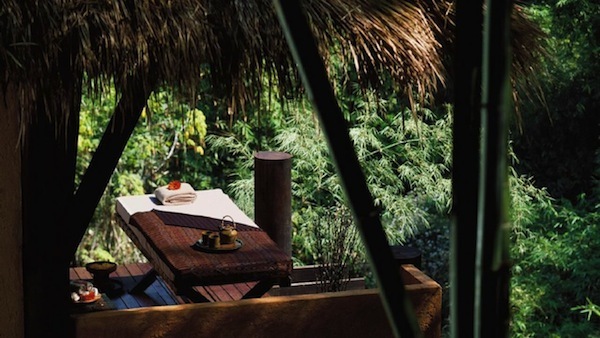 Beyond the accommodations, guests can relax and cool off in the free form pool or take to the tree setting with in-room massages or other spa services including traditional Thai massages conjured up using mountain botanicals and local warming spices. 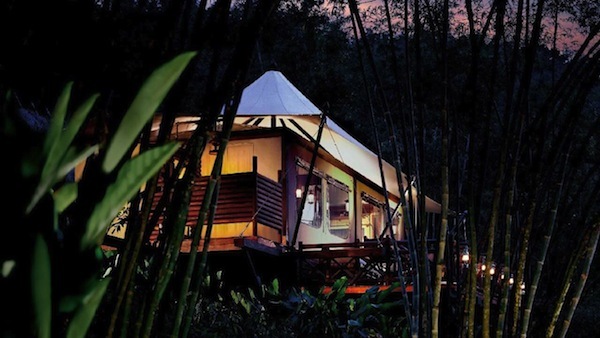 No need to list the different packages here, Golden Triangle only offers all-inclusive trips for two-, three- or four- night adventures. And speaking of adventures, this camp’s stake to claim is in their friendly giants. 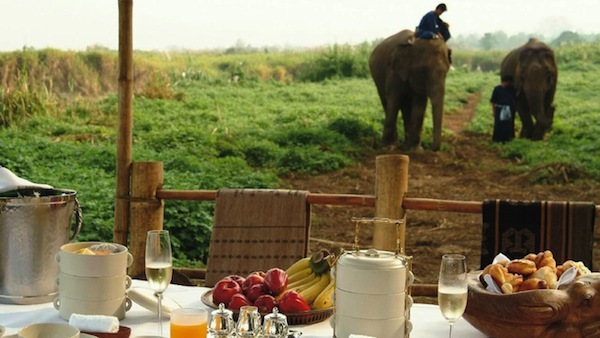 Upon arrival, guests learn how to behave around elephants, basic vocal commands, then how to get on and off safely. Accompanied by the elephant’s own mahout, guests learn the basic commands needed to drive an elephant, a skill they will have an opportunity to practice on an exploration of the Thai jungle. Golden Triangle offers sunrise rides, treks and nature walks around the property and ventures to nearby areas. What’s more, choose to adopt a gentle giant through a monthly sponsorship that includes all their fodder, veterinary and incidental bills (as well as the wages and benefits for their mahouts), these elephants can now live in a natural environment.